How To Use Payoneer MasterCard In South Africa: This post would teach you how to open a Payoneer account and use it in South Africa. Payoneer MasterCard is a service company which gives South Africans virtual accounts through which they can send and receive money from international and online transactions. How to apply for Payoneer MasterCard in South Africa is very easy and simple. You just have to follow the steps below on how to open a Payoneer Account in South Africa. Follow the steps I have provided below and you are a step closer on how to get a Payoneer MasterCard. 1. Go to “www.payoneer.com” and click on the “Sign Up” tab. 2. Fill in details such as your name, address and other details. 3. Set up your password (make sure you can remember your password) and also a secret question. 4. Select ID type: National ID Card, Driver’s License etc. 5. Enter an alternate address. Do not make a mistake with the address you put up. The card would be sent to that address. 5. After that click on “Order”. 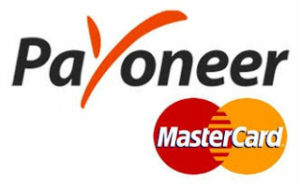 Using a Payoneer MasterCard in South Africa is very very simple. You use the card to receive money and also send money online. In places whereby, only those with a US bank account can apply. You can just use your Payoneer MasterCard instead. It would take a few weeks or even months before you receive your Payoneer MasterCard. If you don’t receive the card within the estimated time given. It is advisable for you to visit your nearest post office. If you need help on how to open a Payoneer account in South Africa or how to use a Payoneer MasterCard in South Africa, kindly comment below.